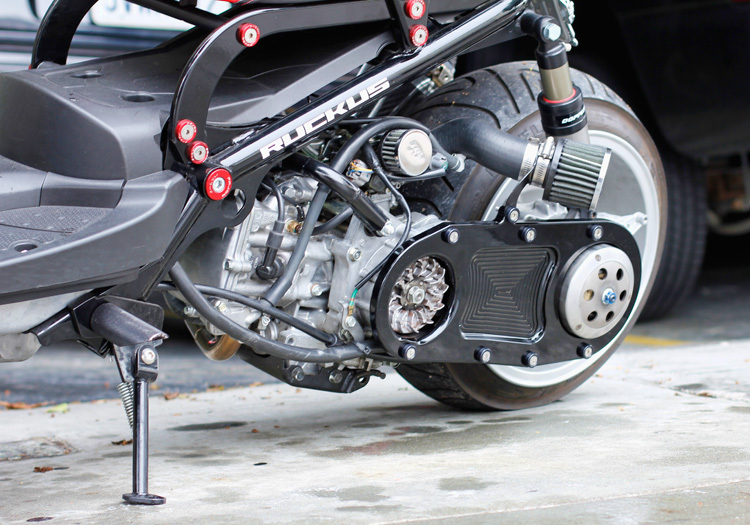 Removal of the stock CVT/kickstart cover, and going to an open face CVT cover has got to be one of the coolest things that you can do to make your ruckus more “tough” looking. I remember the first time i saw this type of mod on a Ruckus I actually didn’t even know it was a ruckus because the bike looked so much more like Chopper. This type of mod is purely aesthetic, and does not do any sort of performance enhancements, except maybe shaving off a tiny bit of weight. 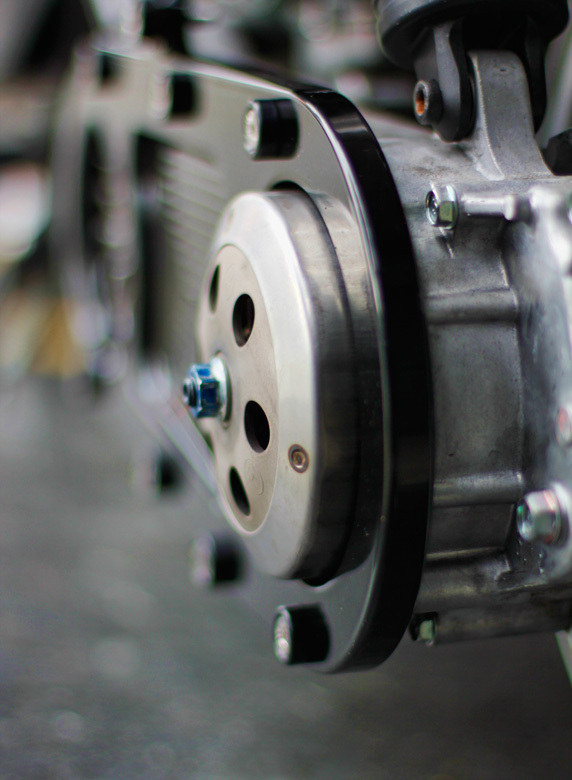 So you are probably aware of the part on the right side of the motor that has the kick-start lever. 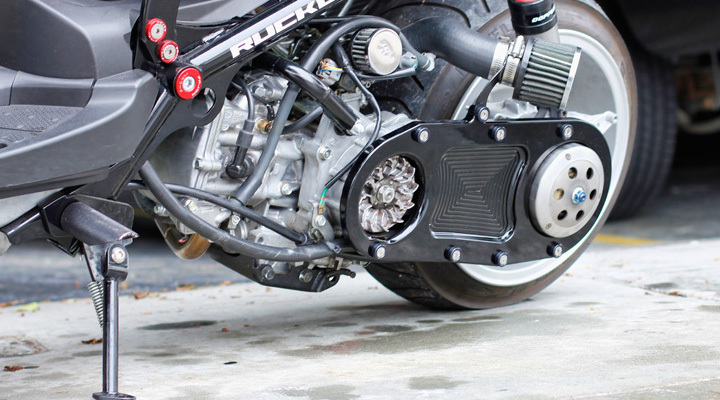 This cover basically covers the CVT transmission, and obviously allows you to kickstart the bike if needed. That being said one thing to seriously consider when going to a custom CVT cover is this… How confident are you in your battery? 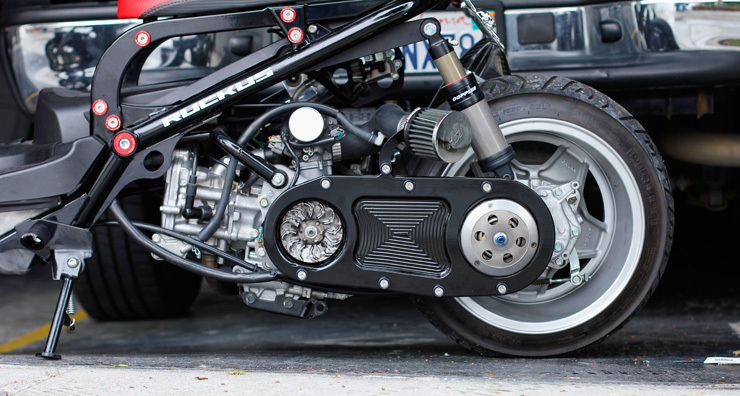 Reason being is once you do this modification to your Ruckus, you no longer have the option of kick starting your bike. For me, this is a very important consideration as i drive my Ruck to work on a daily basis and it needs to start. 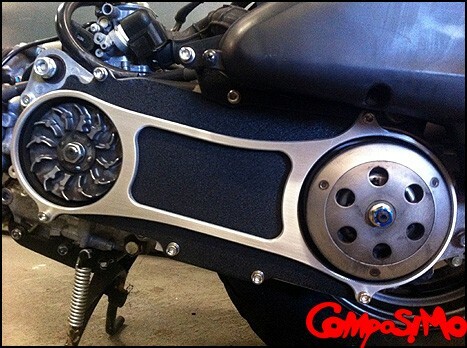 Luckily my bike always starts and I have no problems, so I decided to go ahead with removing the stock CVT cover. In my Opinion all of these are sick, but one just really speaks more “custom” to me. I love the Composimo version A LOT, but I didn’t want to spend that much. Plus I liked the idea of it all being one piece, and the Milling in the center of the MNNTHBX version is just waaay sick, it really gives it a “finished” look. I think the others are great but look a little unfinished to some extent…BUT, this is just my opinion. Installing a custom CVT Cover is a breeze, really all you have to do is remaove the bolts holding the stock cover on ans swap if for the new one!